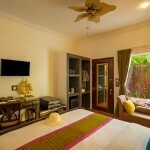 Standard Queen Room is at the ground floor offering a truly natural light. 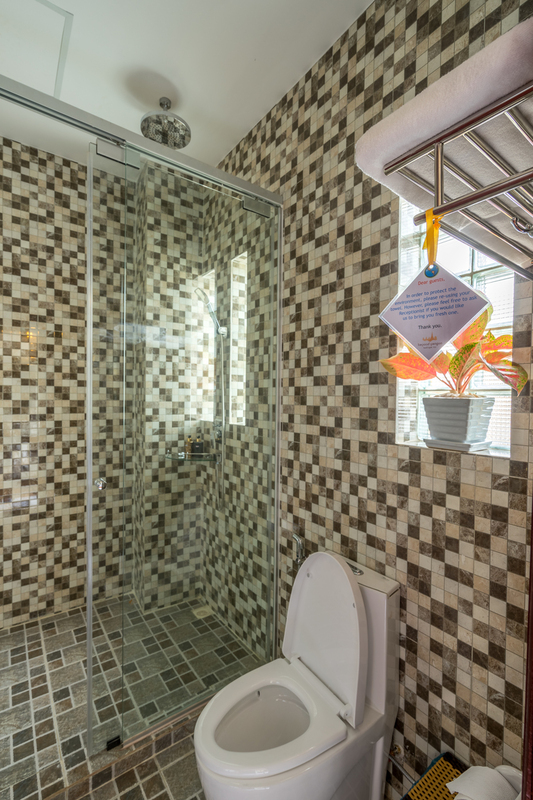 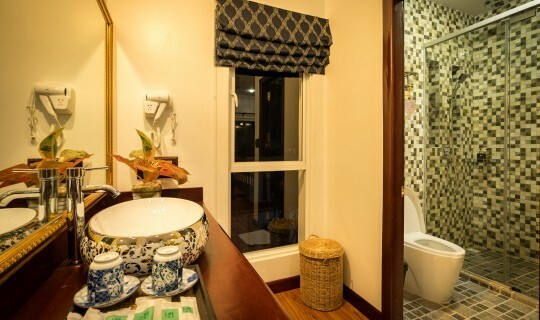 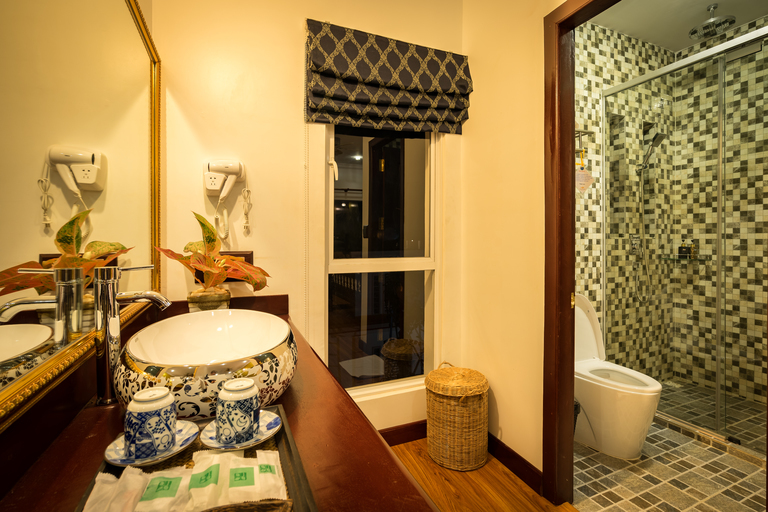 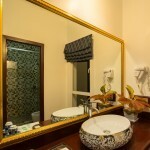 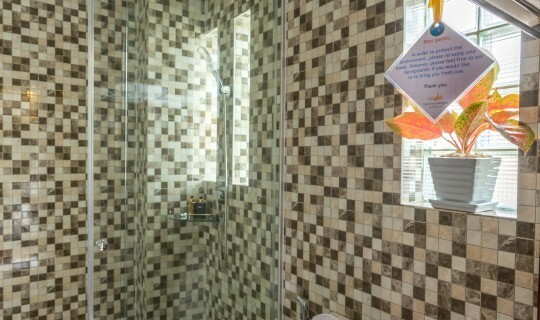 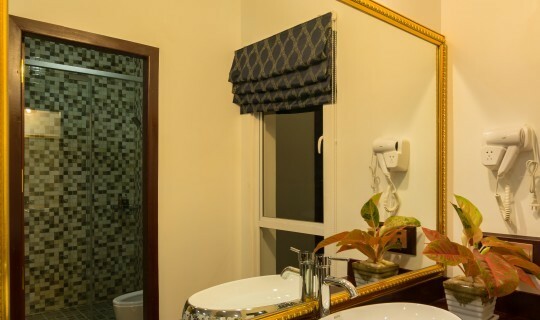 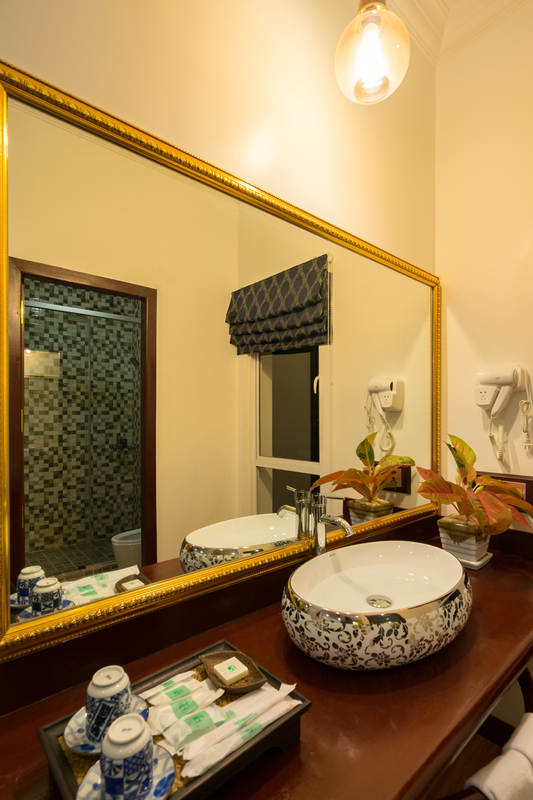 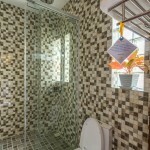 Moreover bathroom with shower facility give you fresh after back from Temple. 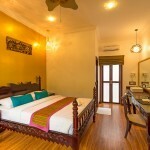 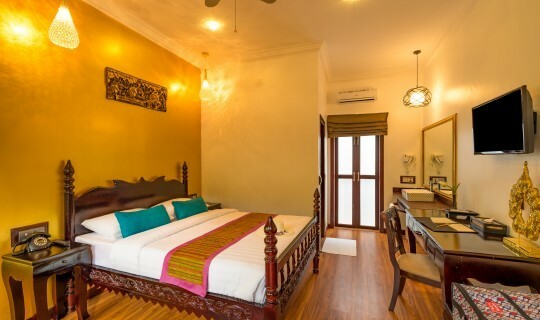 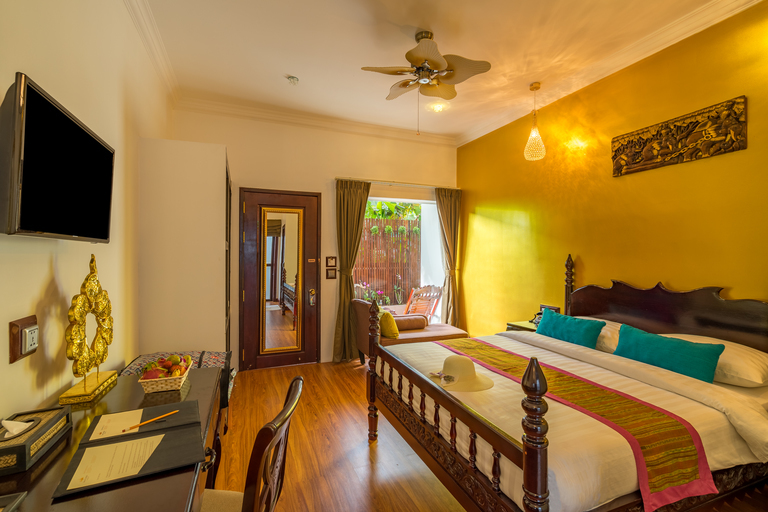 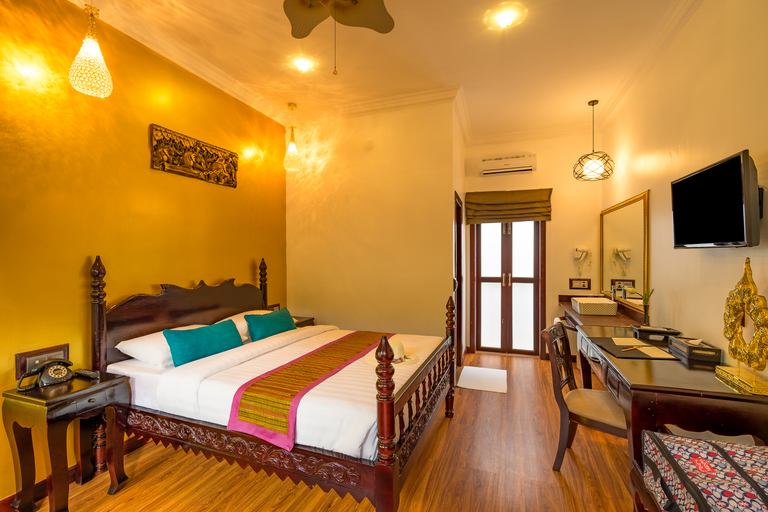 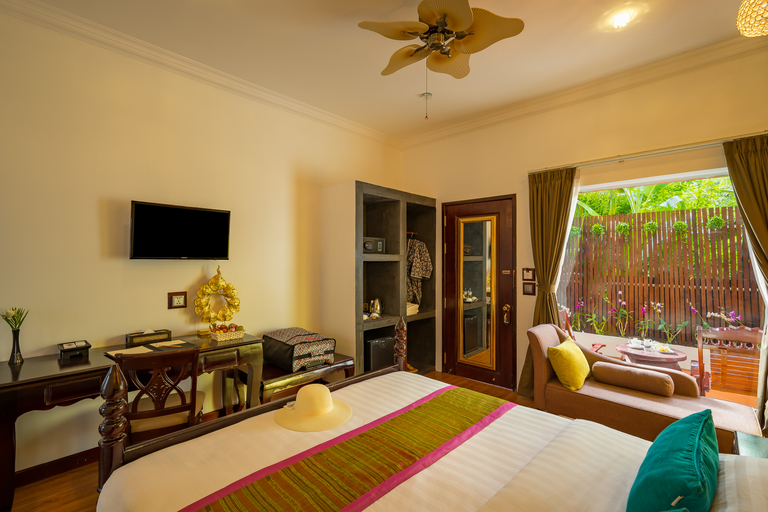 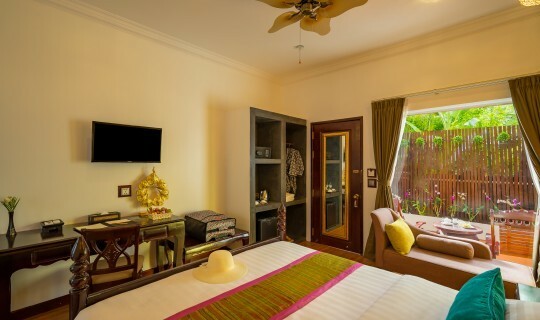 And bedroom with outside sitting place are neatly decor by contemporary furnishings, including Myanmar and Khmer Arts, the golden teak color floor,and wide window will feel warm and home away from home ambiance. 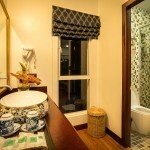 Infant 0-1 year(s) - Stay for free if using existing bedding. 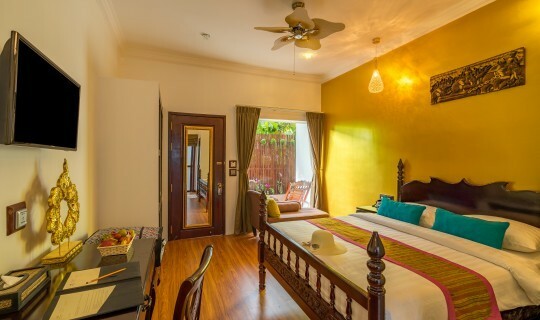 A baby cot may charge 10$. 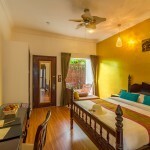 Extra beds are available for this room at 15$/night/pax.